I knew his hair was getting long and hung over his ears but I was in denial that he actually needed a haircut. I don't really know why. 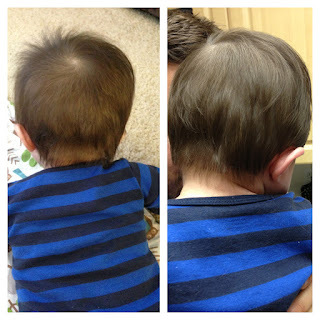 Maybe because he is only 7 months old and I didn't think that a 7 month old should need a haircut? Maybe because it means that my baby is getting older if he needs to get his hair cut? I don't know. He was born with so much hair so realistically, I don't know how we waited this long. I must admit it was getting pretty bad. It would stick out over his ears and looked slightly mullet-ish in the back and was so long it hit the top of his shirts. Bottom left : all the hair that was cut! picture on the right side. bad bed head! 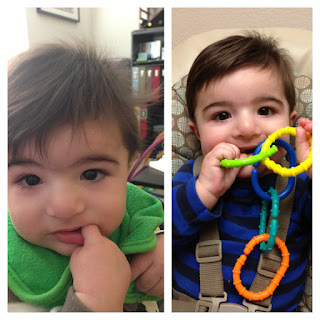 Now I wonder how long until his next hair cut... if he's anything like his daddy it will only be a few weeks! 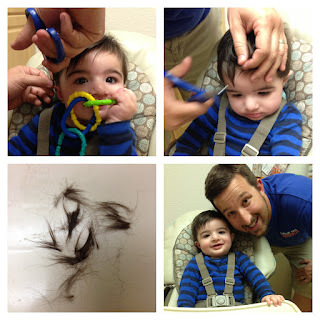 And now that mommy knows how handsome he looks with a hair cut, she probably won't wait so long for the second one! Good job Daddy Seth! Looks great! We still haven't cut Declan's hair...it is getting a little crazy. 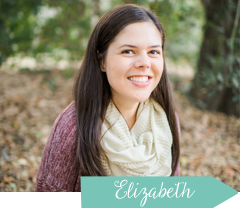 Can't wait to see you in a few short weeks!!! LOVE YOU!